Perched at 2,115m above sea level, the Col du Tourmalet more than warrants its nickname as the giant of the Pyrenees. As the highest paved mountain pass in the French Pyrenees, it rewards all those who dare to ride up it with a breath-taking view over the Vallée des Gaves and Vallée de Campan on either side. As the most heavily featured col in Tour history, it has also become one of the go-to climbs for the Haute Route Pyrenees and an undeniable highlight of any Haute Route rider’s week. Attacking the col from Luz-Saint-Sauveur today, the Haute Route peloton was faced with a 19km climb averaging just over 7% for a total gain in altitude of over 1,400m. Rising gently out of the valley to start with, the first real ramps appear at the 4.5km mark, before it eases off slightly and remains relatively consistent for the next 10km. The final five kilometres of the climb however were a different story altogether, averaging just shy of an eye watering 9%. With several ramps exceeding 12% and no real opportunity to recover, it becomes a case of just managing your effort and grinding it out to the top. We spoke to a number of our riders at the top to find out what they thought of the giant of the Pyrenees and how the climb had gone for them. Read on below for some of our favourite responses. It’s great, the Tourmalet is one I’d only seen on TV before, but I’m here now! Wow! Well I wish I’d had a few more gels with me, but the climb was so beautiful, it couldn’t have been any more beautiful than with those clouds below. We don’t have cols like the Pyrenees back home in Russia. 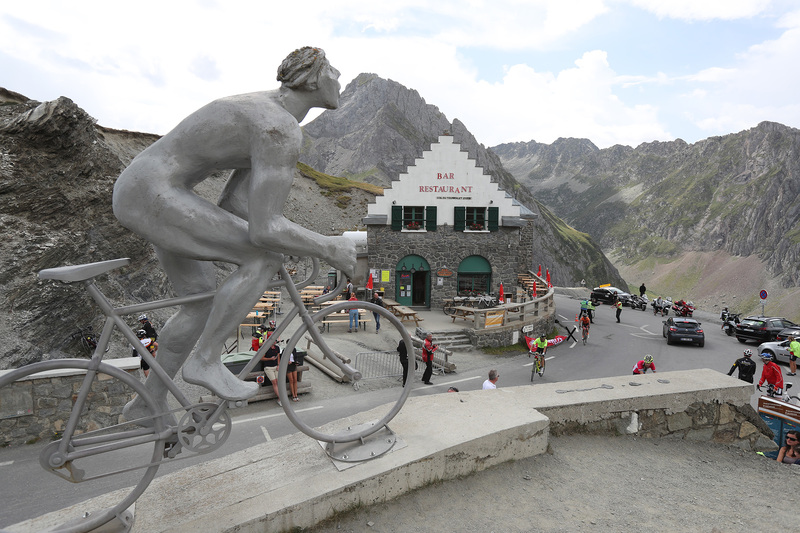 It’s my first time up Tourmalet – what a col! I’m loving it, it’s phenomenal! Coming out of the clouds earlier was sublime; it’s great to be on top though! The Tourmalet is like the Alpe d’Huez of the Pyrenees. I live in Geneva but I’ve never experienced anything like this here in the Pyrenees! This is my third Haute Route and it’s my first time on top of the Tourmalet; it definitely feels quite special! To have always seen it on TV and to be here at the top now, we had to take some pictures! For me it’s the scenery that makes the Tourmalet so special, to stand next to the statue at the top was awesome as well! Want to share your experience of the Tourmalet with us? Tweet us using #HauteRoute and we will RT them!